Help us make LDOX.org a great place for discussion! Messages on this forum are moderated before they are published. Please follow the guidelines below to make sure that your messages will be published without any fuss! We need to ensure that the confidentiality of people being supported is maintained. Please be respectful of the people you support and do not disclose their real names, location and/or service location. 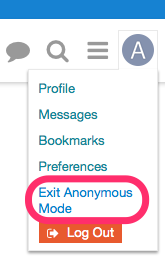 Our moderation team checks all messages before they appear on the forum, and may change names, locations and some other details in order to anonymise posts containing sensitive information. 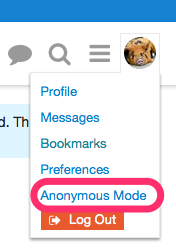 Your Profile Picture will change to a round icon with the letter “A” and you can now post anonymously. 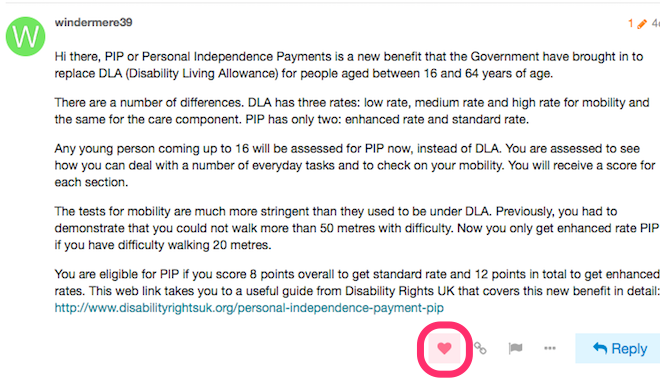 We strongly recommend that you use this feature for making sensitive posts! One way to add to this community is by discovering discussions that are already happening. Please spend some time browsing the topics here before replying or starting your own! The topics discussed here matter to us. Be respectful of the topics and the people discussing them, even if you disagree with some of what is being said. The conversations we have here set the tone for everyone. Help us influence the future of this community by making this forum a friendly and interesting place to be. The forum software we use for this community provides tools that enable the community to collectively identify interesting contributions: favorites, bookmarks, likes, flags, replies, and so forth. Use these tools to improve your own experience, and everyone else’s, too. Moderators have special authority; they are responsible for this forum. But sometimes they may miss something which should not have appeared on a public forum. When you see a post which you are concerned about, please flag it. If enough flags accrue, action will be taken, either automatically or by moderator intervention. In order to keep our community safe and friendly place, moderators reserve the right to remove any content and any user account for any reason at any time. Don’t post anything that a reasonable person would consider offensive, abusive, or hate speech. Keep it clean. Don’t post anything obscene or sexually explicit. Respect each other. Don’t harass or give grief to anyone, impersonate people, or expose their private information. Don’t post spam or otherwise vandalize the forum. This is a public forum, and search engines index these discussions, with the exception of the LDOX Lounge and private groups which are only accessible to members. Keep the language, links, and images safe for family and friends. This site is run by volunteer moderators and you, the community. If you have any further questions about how things work here, or how they could be improved, open a new topic in the About This Forum category and let’s talk about it! If there’s a critical or urgent issue that can’t be handled by an About This Forum topic or flag, contact us via our Contact page.